Home Sizes: 959 to 2,182 sq. ft. 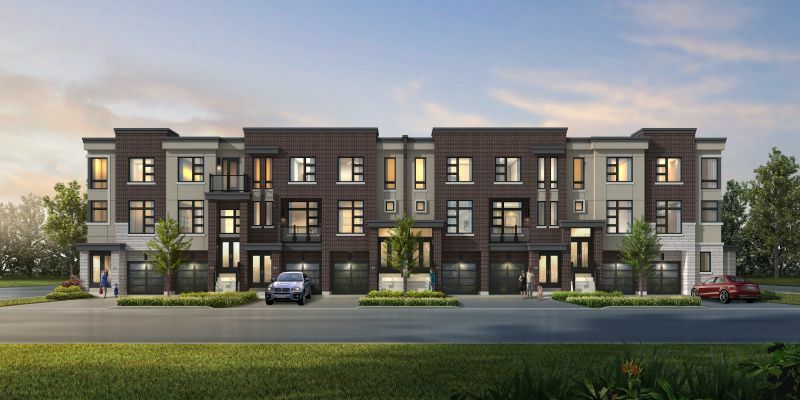 Introducing NuTowns – a new collection of urban and traditional townhomes coming soon to a commuter-friendly location in Pickering. Launching this month, NuTowns will be a collection of 193 modern townhomes that are perfect for new families. There is a mix of styles, with urban towns and more traditional style elevations both available. For the convenience of residents, all homes will have an attached garage and balconies or terraces for some outdoor lifestyle. 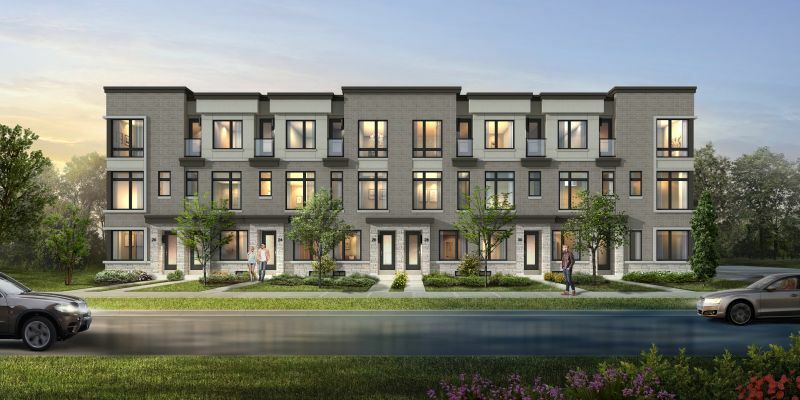 NuTowns is being developed by Madison Group – a well-respected builder that has been responsible for impressive recent projects like Frenchman’s Bay in Pickering and the award-winning Nobu Residences in Toronto. The project is being presented by our sister company, International Home and Marketing Group Realty, Brokerage Inc, which gives Living Realty a unique insight to the development and sales process. 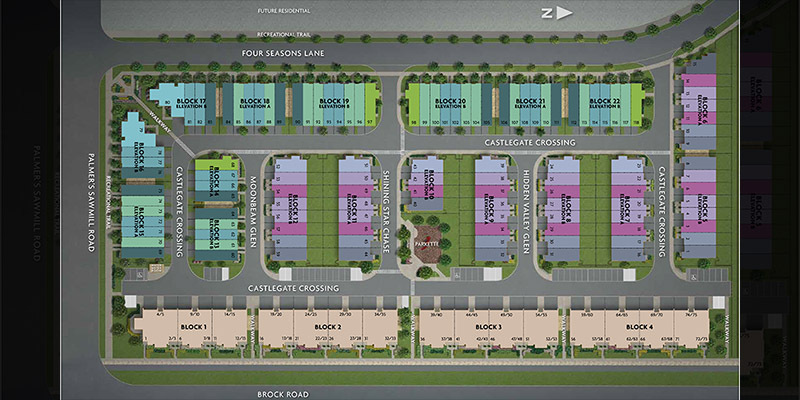 NuTowns is located in a growing and in-demand area of Pickering. 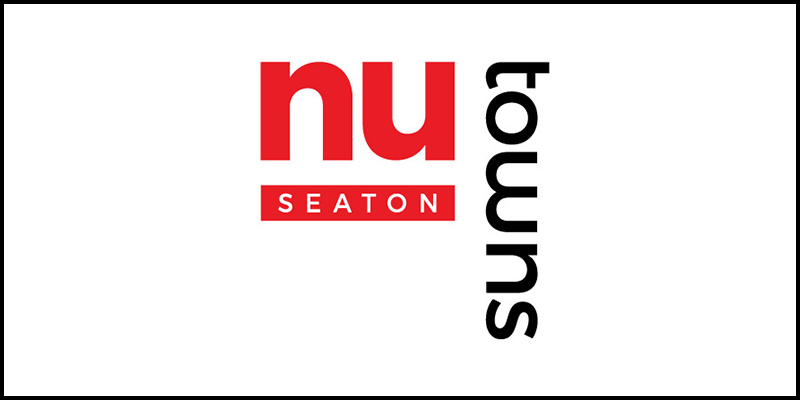 It’s an area with a number of established neighbourhoods nearby and that means there are lots of local amenities for NuTowns residents. Perhaps most appealing in terms of amenities is the closeness of Pickering Town Centre – an indoor shopping area with a wide variety of stores and restaurants either inside or in the immediate vicinity. NuTowns has good options for commuters because it is located roughly halfway between Highway 401 and Highway 407 ETR. That puts much of the Greater Toronto Area within easy reach, no matter which part of it you want to visit. In fact, the smooth traffic on the 407 ETR can also get you to Pearson Airport in under 40 minutes, even during busy periods of the day.